The winds were so calm on this evening I was able to take a 13 second exposure of this bluebonnet field with any signs of movement. The full moon could be seen faintly throught the distant clouds, as well. 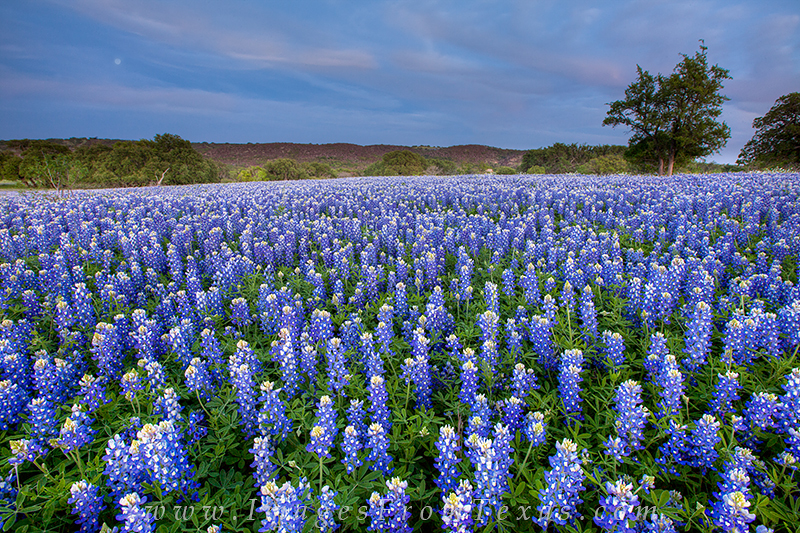 It was a perfect evening for photographing Texas' favorite wildflower. Photo © copyright by Rob Greebon.